Step out on the battlefield, prepared for chemical warfare with this 1940s Vintage Style Gas Mask. The soft vinyl mask draws inspiration and style from gas masks of the 1940s. The black mask features large round eye cutouts, a mouth cutout with y-shaped divider, and an attached canister on the left side. 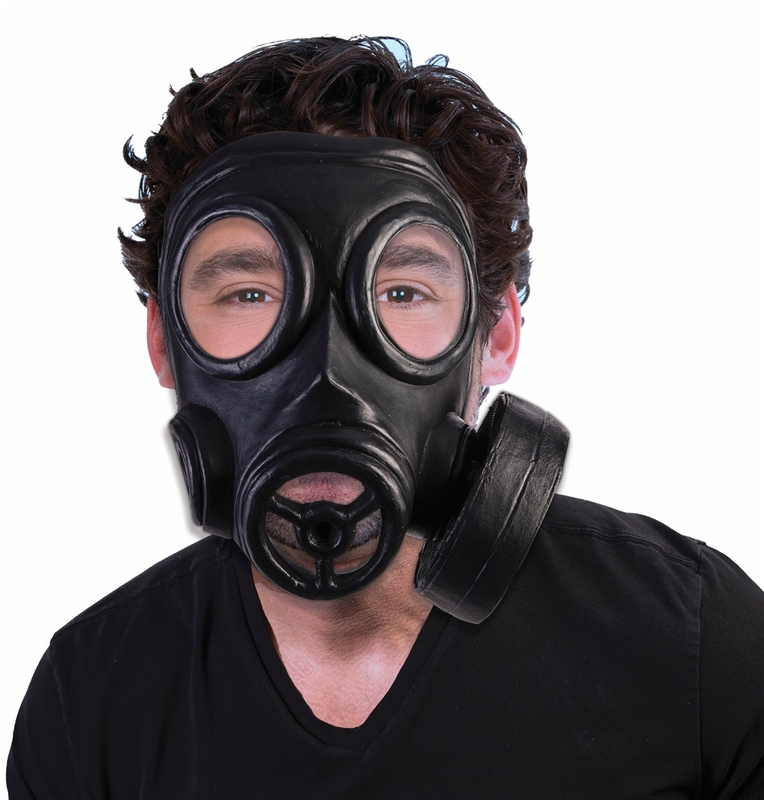 This gas mask makes a great costume accessory for nuclear disaster, WWI military or SWAT police officer costumes.